Hey guys! Just a small update today since I don't feel well. This is just a really simple mani I did last night.. my nails were already black, but they looked boring so I added some sparkle to 'em. I sponged some gold polish onto the tips, added some fine gold glitter polish, then topped that with two coats of the lovely Milani Gold FX! I love the way it looks. And I like it even better mattified! 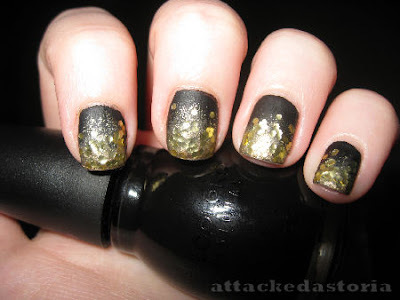 This is with one coat of Essie's Matte About You. I love how soft it looks. Here's one with flash, too. 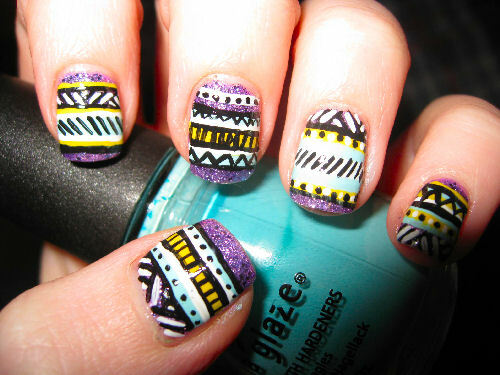 Also, here's a bonus shot of a really lazy tribal mani I did a while ago and never posted.. I didn't like it that much, but you can't win 'em all, right? I used Nicole by OPI'S One Less Lonely Glitter as a base, then went at it with acrylic paints. so pretty! love both designs! 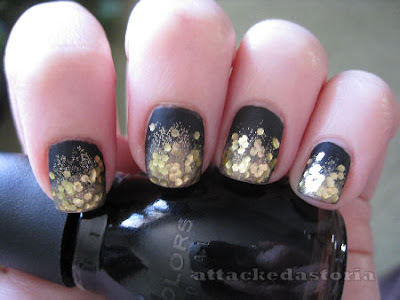 Those black and gold nails looks so pretty! I love it! I love these . They are absolutely beautiful ! All credit goes to you, obviously. 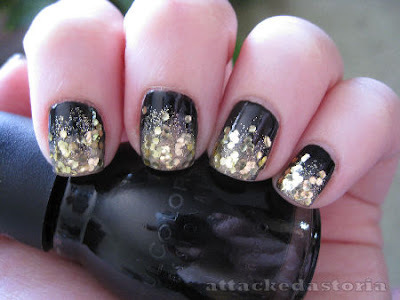 All of your nail art is so gorgeous!